Happy Friday! 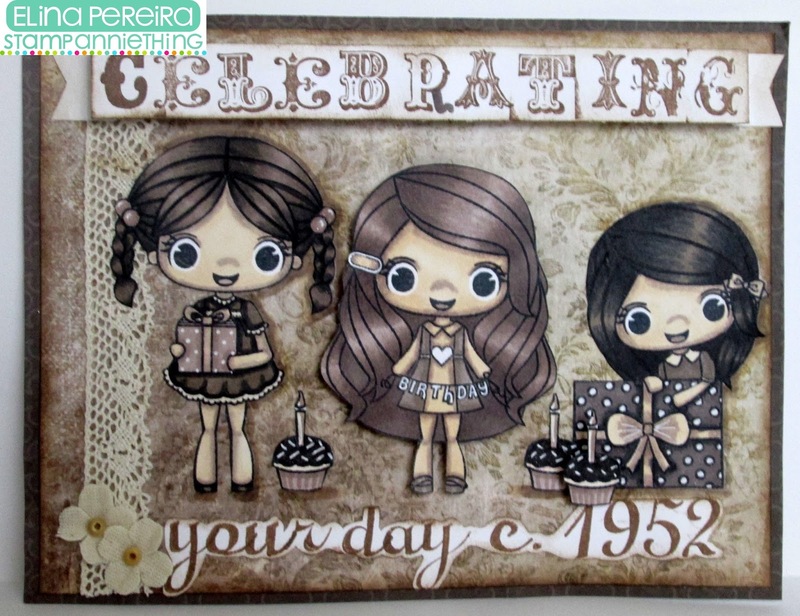 Mel is up on the blog today with another Theme Week # 15 idea. She used a violet watercolor and painted stripes to make a background for her card. The hula hoop girl stamp is Abigail - You're Fun. 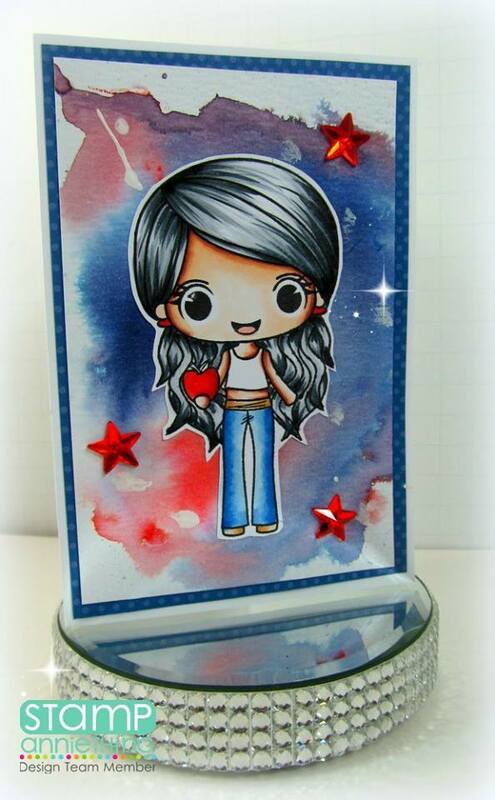 Visit Mel's Blog to read more about her card. 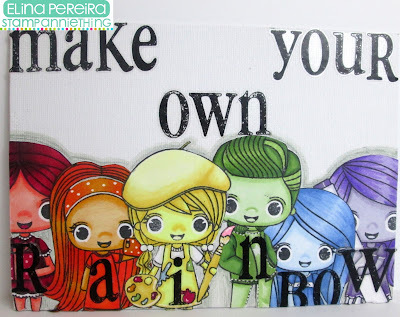 - Create a new project with a watercolors. Hello! 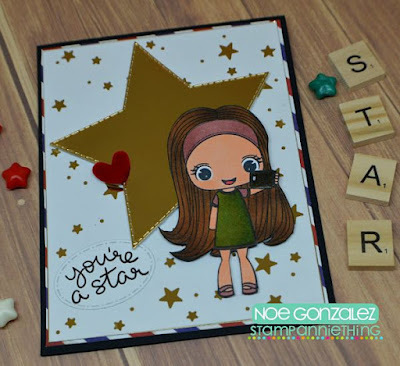 Today we have Monica from Simply Monica with a card for Theme Week Challenge 15. She created a watercolor background for Felicity Be Healthy. We love how the background colors coordinate with Felicity's outfit. Join us tomorrow for our last Theme Week idea from our Design Team. Welcome! Today on the blog we have a Theme Week Challenge card by Kevin. Kevin has used Distress inks for a watercolor technique. Love the soft colors! The card is made with Julie Presents and Cupcakes. Visit Kevin Bray Blog to find out more about this sweet cart. Hello Everyone! 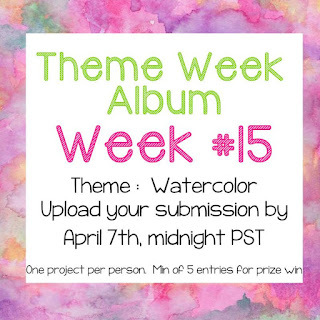 Today we have another idea for Theme Week Challenge 15, Watercolor Challenge! Here is designer GiGi's card featuring Trudy - Happy Day. 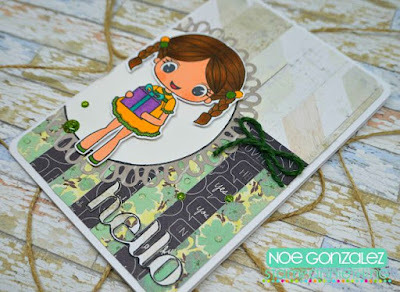 She used a background stamp and heat embossed with white embossing powder. The water color background card is so pretty and accents the embossing. Visit The Cricut Bug Blog to find out the details. - Create a new project using watercolors. Join us tomorrow for another Theme Week idea. Hello! 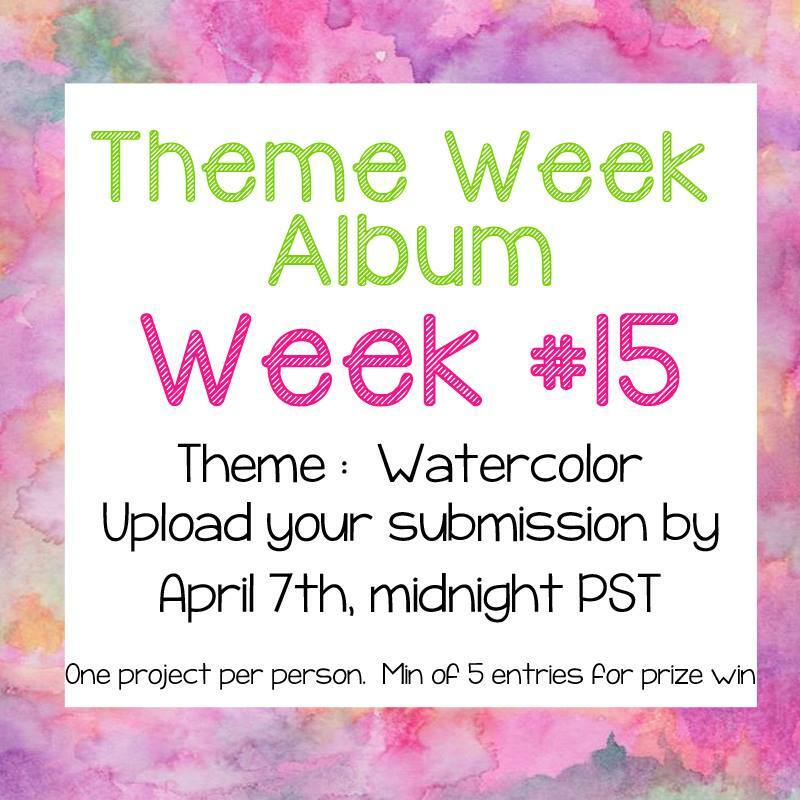 Today starts Theme Week Challenge 15, Watercolor Challenge! Our first sample is from Cindy. Here is her take on the challenge, using a watercolor background really showcases the little artist Violet. 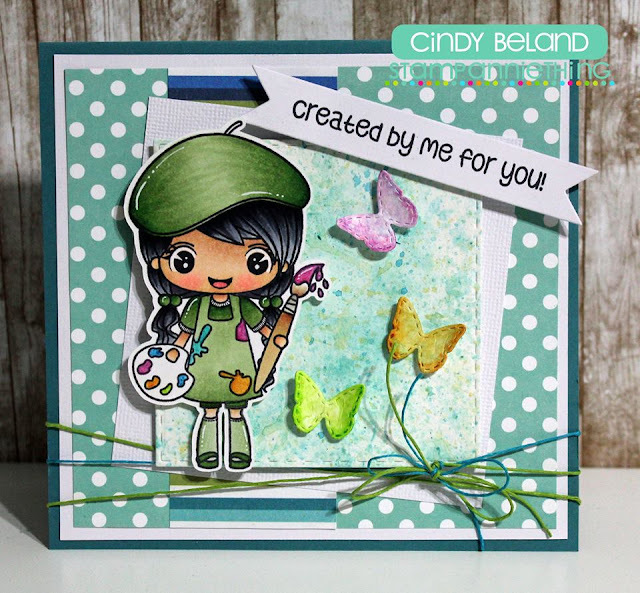 Be sure to visit Cindy's Blog to find out how she made this adorable project. Using Violet Created for You by Me stamp. Stamp Anniething's "WATERCOLOR" THEME WEEK!!!! I had fun with this challenge today!!! Laura here again this weekend, and as I mentioned last Saturday, I've had some fun coloring up Paige - Sugar and Spice a couple of different ways. I decorated the cover of a simple spiral notebook, and popped Paige up next to the sentiment. Added in a matching pen, and I've got a cute gift set for a creative kiddo to make their own storybook! I'm having so much fun coming up with different designs for the same image! 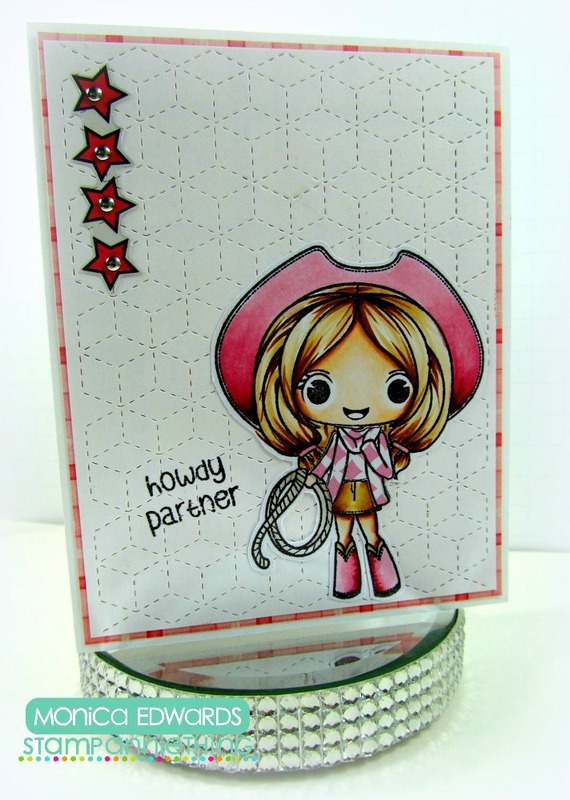 For this card I have used Betty Lou "So glam" stamp set. For the background of my card, I make a splash with black china ink and pink Izink ink. I used Adhesive Foam Squares for the first layer and for Betty Lou for more dimension. It´s Noe from SCN blog here and it's time again to share with you a new card ... made with different types of frames and cutouts to give a little volume and movement to the card and make ours "Lorelei" looks like never before !! It´s one of the new stamps that have been put on sale this month and in my oppinion, is one of the most useful for our greeting cards !! You can not pass it up !! I love those braids and that chic dress she is wearing! Ops ... and what will be inside that nice gift? Hi everyone it's Elina here and it's my day on the Stamp Anniething blog! The project I'm featuring today uses Stamp Anniething's releases from January to March. I challenged myself to use 4 markers from each color family to color the images. And the end result is a quick and easy canvas with an inspirational message. I really like how this project turned out and it's a cool way to stretch your coloring muscles. 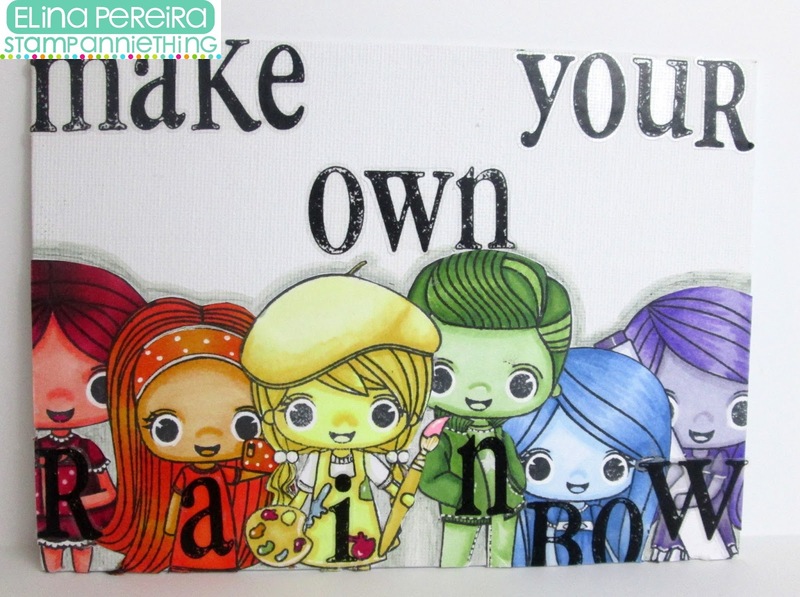 -"Violet- Created by me for You"
-"Dean- You are so Cool"
-"Samantha- Make your own Rainbow"
I used a 5" x 7" canvas panel to create this. Next I stamped the images using my Memento Tuxedo Black ink and colored them in using my alcohol markers. I then cut the images out and arranged them on the panel. To create the title I used some alpha stickers from my stash. Ooooh it's almost spring! I went for a run the other day and saw a daffodil peeking out of the ground. Further along my route the lilac bushes were blooming and I had to stop and breathe in their scent. I absolutely love this time of year! So when it came time to create my project for this week, I couldn't resist the yellow! Meet Jessica-For You. I love her! She is definitely ready for spring! 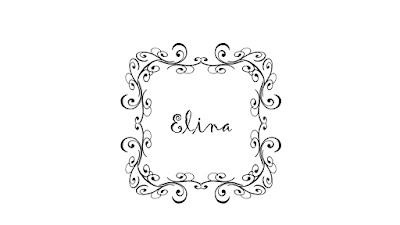 Have a blessed week and I hope you come back tomorrow to see Elina's AMAZING creation!!!! Hey Everyone! It's Candace from Candi O. 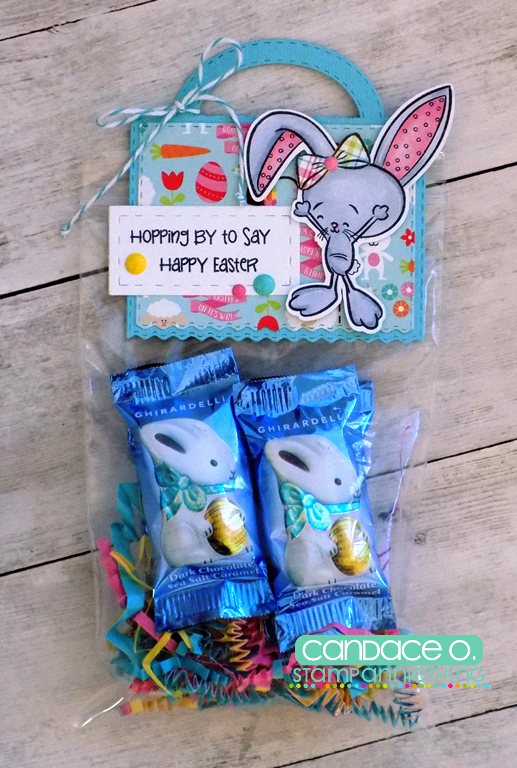 Designs and it's my day to post at Stamp Anniething and I have a couple of Easter projects to share with you!! 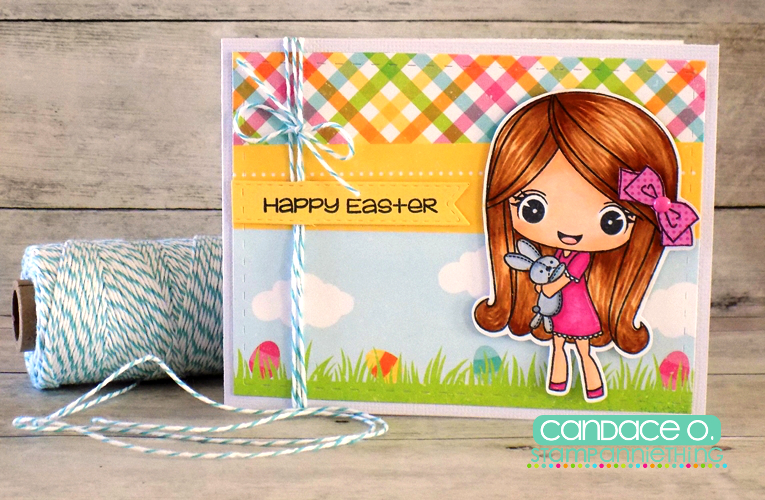 I made a card with Melanie ~ need a hug, I love the cute little bunny she is holding and thought it would make a sweet Easter card. My second project, I used a discontinued set - Bunny Hugs to You! This set is so cute and at an awesome clearance price so grab one before they are gone for good!!!! Hope you liked my projects today and thanks for stopping by!! Laura here, and it's my turn to take over the Stamp Anniething Blog today! I colored her with my Copic markers, and added a ton of sparkle to her dress using my Wink of Stella Glitter Pen... unfortunately it doesn't show much in the photo. This was such a fun image to color, and I've got a couple more versions of her in the works! Hi, everyone! Kevin here once again with another CAS card featuring StampAnniething stamps! For today's card I chose Savannah- Howdy Partner. Check it out! 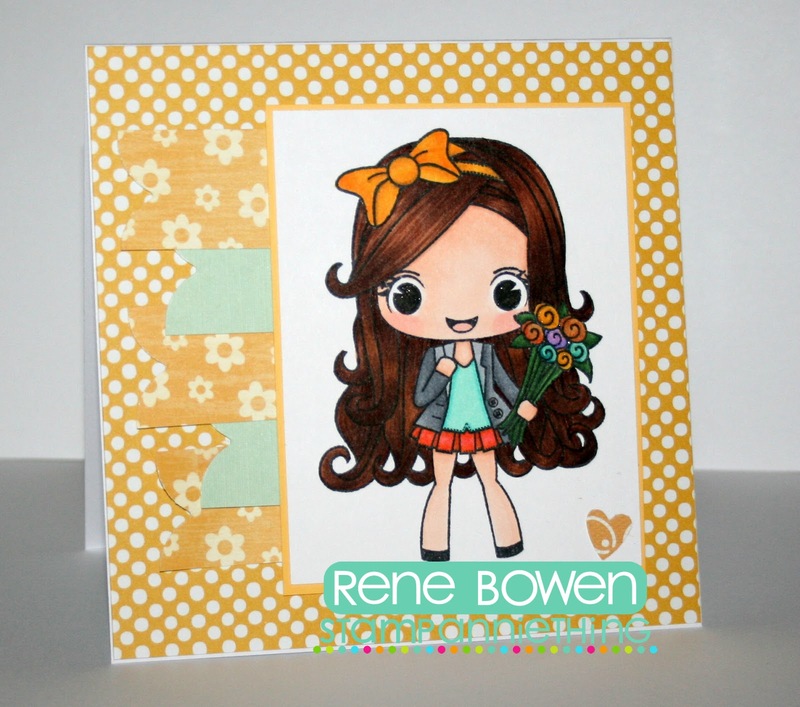 I started by creating the kraft A2 sized card base and added a scalloped rectangle to the center. I used a Tim Holtz stencil and some Distress Inks to create an interesting backdrop for Savannah. I stamped her out and Copic colored her with just a few shades of each color family. I hope you enjoyed my card for today and even found some inspiration to create! Thanks for stopping by! 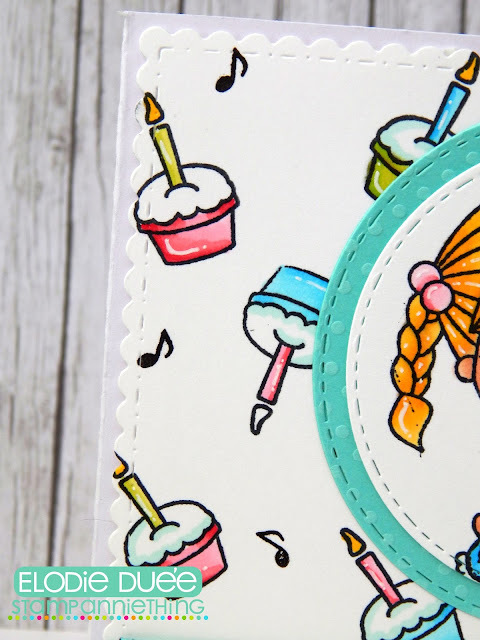 I used the Annie-You're So Sweet stamp set for my card today. I added a Stitched Circle to the background along with some ric rac I cut with the Border Dies. 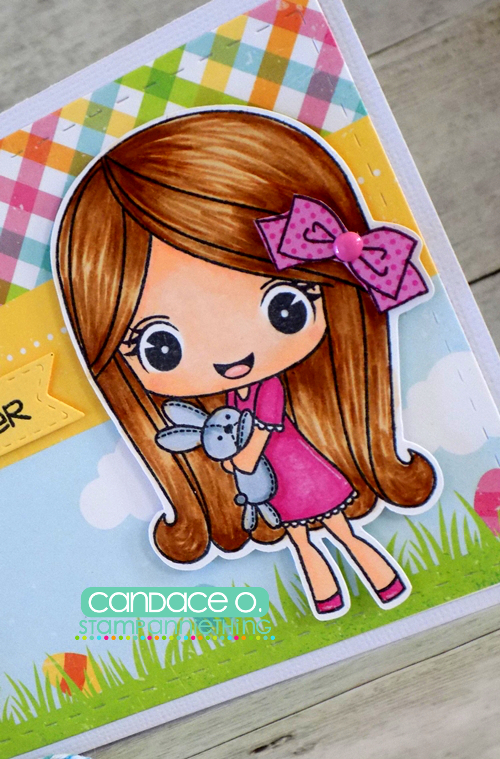 I stamped Annie onto a mat I cut with the Goody Bag Die and colored her with Copic Markers. 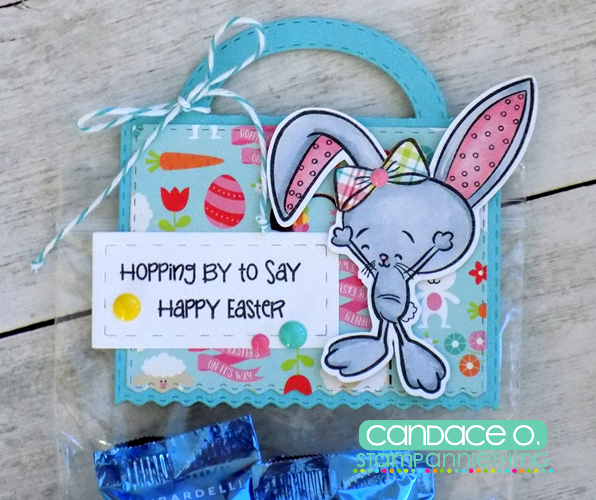 To finish, I added a banner at the top cut with the Candy Charms and Banners Dies and stamped the sentiment from the Happy Hello stamp set. Rectangle Dies 1 with the Scallop Rectangle Dies 1 for the layers, the Border Dies 2 for the look of snow and the Winter Dies snowflakes. 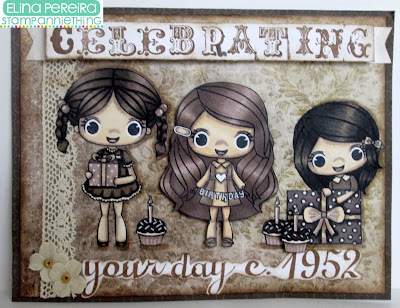 For this card I have used Lorelei "it's your day" stamp set and Julie "presents and cupcakes" stamp set. For the background I played with cupcakes stamp that I colored with Copic markers. I hope the month of March has started great! At this time I come with a card full of glamor ... It couldn´t be otherwise when you using Vanessa Cheese chibistamp !! Isn´t it? 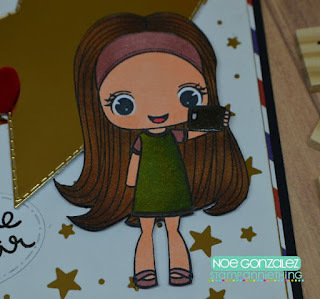 You can find Vanessa in Stamp Anniething shop... She´s a very fashion girl !! Hope you like!! Happy crafting!! 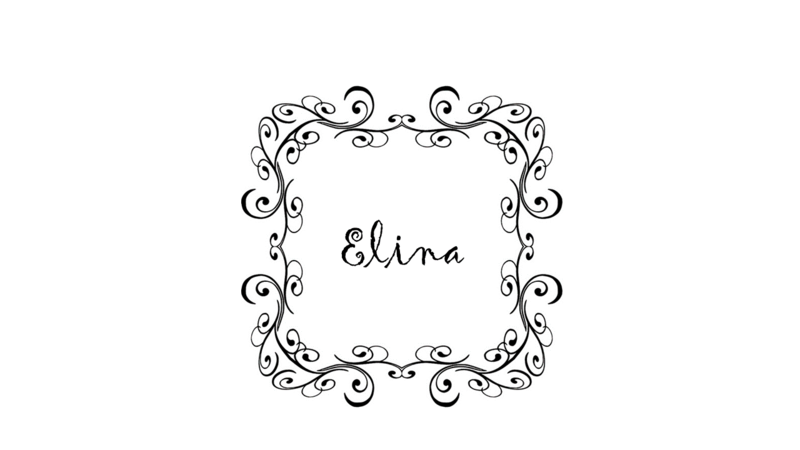 Hi everyone it's Elina here from Scrapbooks, Crafts, and Cards, Oh My! 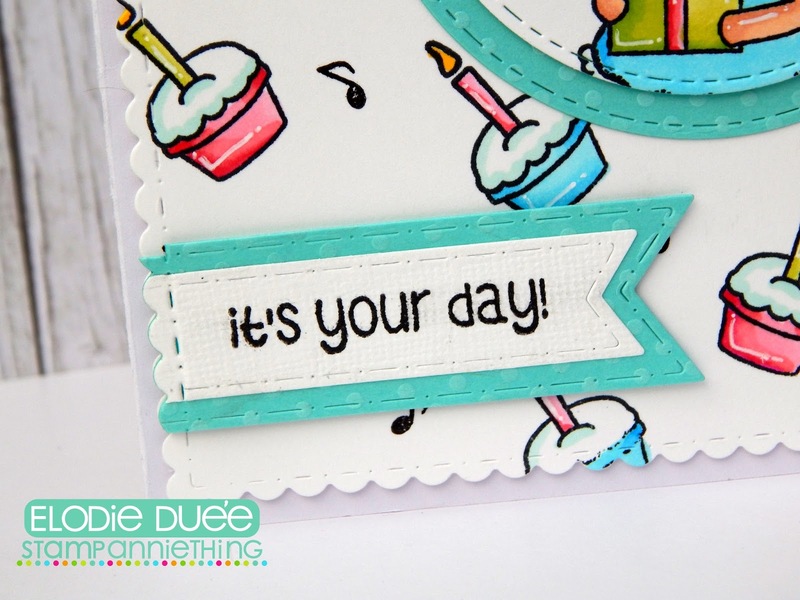 and it's my day here on the Stamp Anniething blog! I received a set of Warm Grey markers from my hubby and just couldn't wait to try them out! After coloring the "Lorelei" stamp, I thought it would be cool to color up the other two stamps and combine them to create this card for my Mom! I used a Tim Holtz paper pad for the patterned paper, some lace, flowers and a few sentiments to bring this card to life. I'm really happy with the final result! This is a great way to challenge yourself using a select group of markers from one color family. I will definitely be trying this out again with my other marker colors. 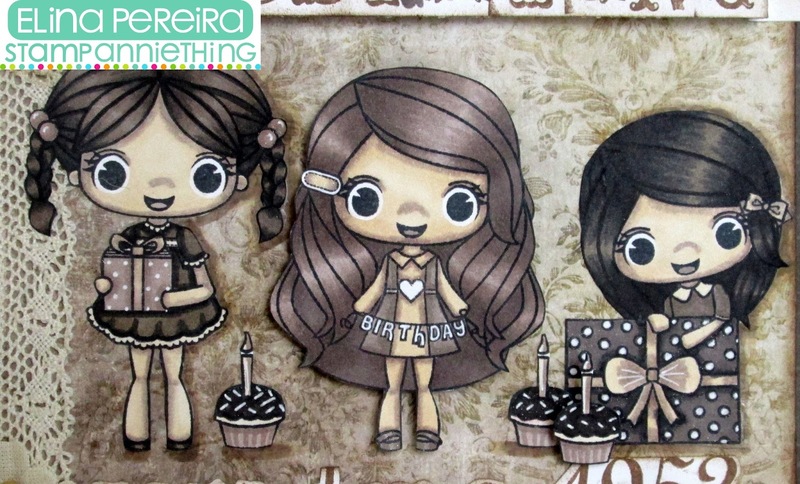 Make sure to head over to the Stamp Anniething shop to purchase these stamps from the new release!